When you look at Meher Heroyce Moos, you will see a 70-year old woman with rosy cheeks and gentle wrinkles that gather when she smiles. What you cannot see is that these wrinkles have many stories to tell – stories about 180 countries and their people, their food and their ways to love. For about half a century, Meher has been a solo woman traveler, undaunted and independent, and has traveled far and wide, in a quest to quench her wanderlust. Meher did her schooling in St. Joseph’s Convent, Panchgani. After that, she appeared for B.A. (Hons.) from Sophia College, Bombay, and for LL.B. from the Government Law College. In 1965, she joined Air India as an air hostess. Thus, she took her first step into a nomadic life. She was just 20 then. As she flew around for her job, her thirst for travelling grew stronger. But, it was not easy to just take off and go globe-trotting. One of the hindrances she faced was financial, because travelling is expensive and she was not born into money. She also needed the time to travel, but of course, she couldn’t give up her job. So she started saving up money, as well as her leave quota. She often took loans to fund her trips. 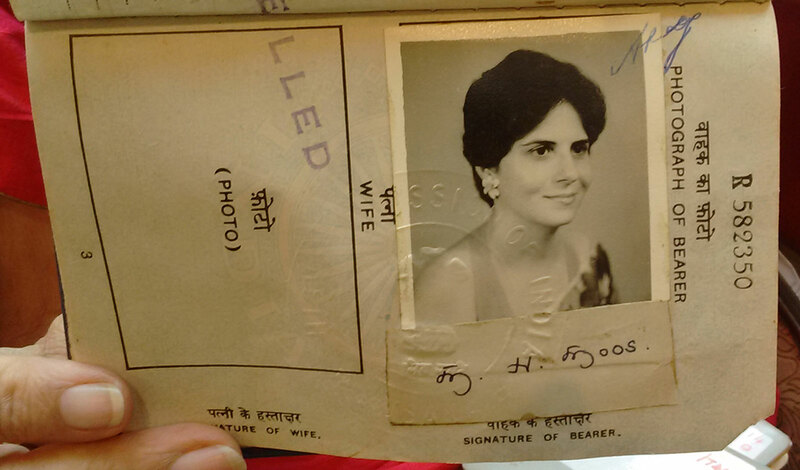 Complementary or discounted tickets from Air India, where she worked for seven years as an air hostess and later became a senior tourism official, along with sponsorship, helped her immensely in financing her travels. There was one other obvious problem. Even today, after women have stepped into every field, and succeeded, common women from backward or developing countries still reel under the pressure to think twice before they follow their heart. So, one can only imagine the challenges she had to face back in the 60s, when the society was much more conservative, especially about women and their every move. It still raises eyebrows to see a single woman pack her bags and embark upon a journey alone. But, Meher had the full support of her family, especially her father, who, according to her, was a huge dreamer, and believed that she could she could do anything, as long as she was armed with confidence and courage. 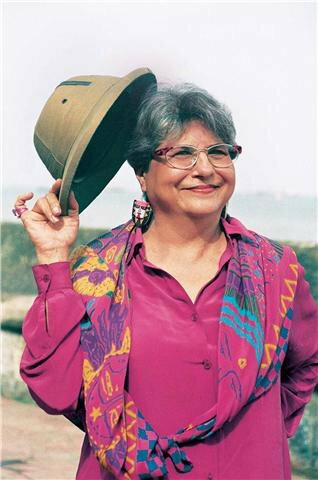 And the Parsi woman lived her life on her own terms. She chose a lifestyle that very few women dare to opt for, as she never got married or had children. She did not want anything or anyone to tether her back from travelling around the world. Meher’s journeys took her to roads less trodden and places less seen. She always listened to the calling of her adventurous soul, and instead of the common luxury holidays, she chose offbeat destinations. She has stood with one foot on the Northern Hemisphere and the other on the Southern Hemisphere at Quito in Ecuador. She has seen the Amazon and the Yangtse, the Ganges and the Zambezi. She has trekked a gurking volcano in Vanuatu, with the ground shaking beneath her feet. She has been through Africa and roamed through Asia. From Amazonian jungles to the Andes Mountains, from Machu-Pichhu in Peru to Lake Titicaca in Bolivia – Meher has seen it all. She covered the length and breadth of South America, journeyed across the seven Central American Republics and visited many Caribbean Islands. She crossed the Arctic Circle in 1972, and visited the 3 Laplands of Scandinavia. In 1975, she re-traced the route that Marco Polo followed through Central Asia through Samarkhand and Bokhara into Siberia, Mongolia and the Gobi Desert. 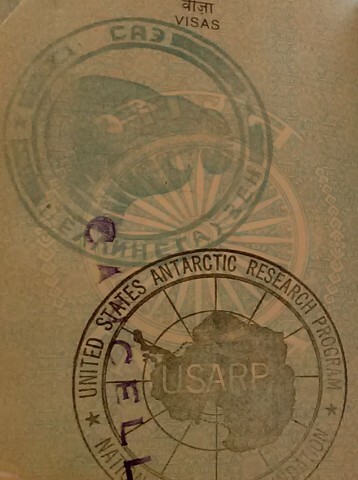 In ’76, she went to under-explored Antarctica. In 1978, Meher went on an extensive tour pf China, as she sailed from Yokohama to Shanghai, and then went on to journey through Orient and Far East, where she went to the virgin islands of Indonesia, Melanesia and Polynesia, floating on the waters of the South Pacific. She crossed the International Dateline in Tonga, and went as far as the Easter Island shores. She has been to all the Gulf Countries and most of the Middle East. But, the most remarkable of Meher’s journeys was perhaps to cold lands of ice. In 1976 she partook in an expedition to the Antarctic Continent aboard the famous liner “Lindblad Explorer” that was set to sail from Cape Town to Cape Horn. She received an invitation to join the liner from the man himself, i.e. Swedish-American explorer, Lars-Eric Lindblad, during her chance meeting with him. At that time, it was difficult to obtain visa in Africa due to political turbulence. Even as Meher to get her passport stamped, she faced a different kind of a problem: she had planned to start her voyage from Nosy Be in Madagascar, but the plane in which she was travel developed a hydraulic leak, and its pilot refused to fly. She visited the isolated Antarctic scientific & meteorological bases amidst glacial mountains and ice shelved in the ocean. Thus, Meher Moos became the first became the first Indian woman to travel to the icy continent of Antarctica. Eventually, she caught up with her ship at Cape Town, and finally made it to Antarctica. Another one of her fabled trips was in 1981, when Meher set out on a five-month tour to explore over 35 African countries, and went through the Sahara, to Timboctou. She learned to live with the Pygmies of Congo, in the Equatorial forests, until she finally hit the Livingstone Trail. An odyssey in true sense of the word, this journey of hers demanded endurance and perseverance, and Meher had it all. Meher can count all the places she has been to. Of all the places she has been to, London is her favourite. Studying literature in convent had developed a taste for theater and the English countryside in her, and when going to London has been like going home for her. Meher has always traveled with the inclination to discover places set in the interiors, places that are deemed inaccessible or even forbidden. The other thing that has kept her going is her want to meet new people, with her deep interest in anthropology. In the course of her life as a traveler, Meher has developed a love for food. The list of foods she has tasted can definitely be called interesting. Raw beef sealed by hot spices in butter in the Ethiopian mountains, large field rats in Nigeria, crocodile in Papua New Guinea, grasshoppers , crickets and red worms in guacamole sauce in Mexico, snow-fed ptarmigan reindeer in Lapland, ostrich in South Africa, python, ant-eater, mongoose and monkey-brain in Cameroon, insects from the bark of trees in the River Amazon in Peru – she has been as adventurous with her food as her journeys, and has never shied away from anything on her plate. She also loves to cook, though her expertise is limited to Parsi and European cuisines, and she detests desserts, because she cannot cook them. 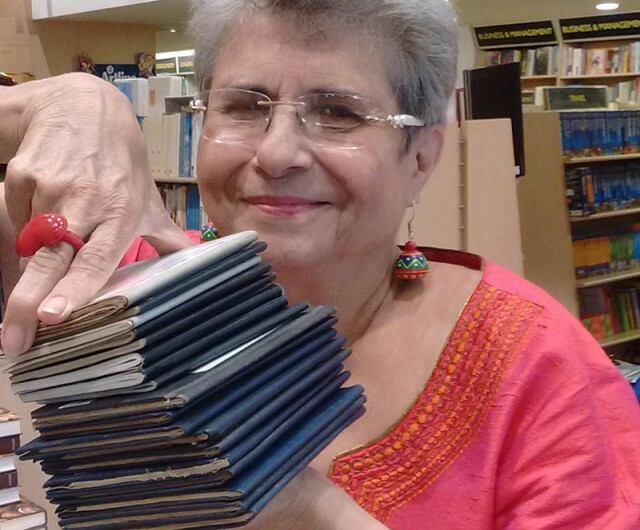 In 50 years, she has had 18 passports, and, except the eighth one which got misplaced, she has successfully saved each one of them. Two of her passports had to be issued overseas – one in London because the original had been stolen, and the other one in Zambia because the original had no more space left for a stamp. More often than not, Meher’s journeys have presented their own sets of challenges, like the time she set out for Africa, but there were happy accidents, too, like her chance invitation to travel to Antarctica. Meher has received awards and honours for her feats that very few accomplish. In 1980, she was selected for ‘the most outstanding person in India’ by the Indian Jaycees, ‘to recognize her tremendous courage and exemplary initiative’. But, the most important lessons for her have been presented to her by her sojourns and odysseys. She has learnt invaluable lessons of love and humanity. She has always found that the people in the remotest of areas are more compassionate that in the cities. Meher has learnt to become a ‘people-person’, connecting with everyone – irrespective of their wealth, status, background and profession. “Each human being has his own stamp of dignity,” she believes. Meher is now an International Travel Consultant to Thomas Cook. 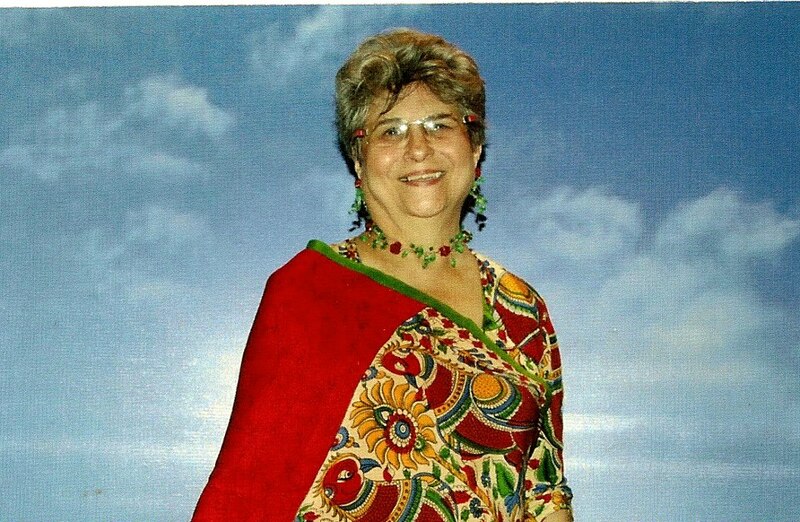 Her 37-year career with Air India ended in 2002. Over the years, she has seen the world change around her, and she has tried her best to adapt. She had once taught herself to read The ABC World Airways Guide. In 2004, she signed up for a basic computer orientation course. From the Asiatic Library, she shifted to use the internet to research her trips. But, there is still one thing she is nervous about – online payment in e-booking. So, she has her friends who make the bookings online for her, while she pays them in cash. At 70, Meher is racing against time itself. Her hearing is weak, her eyesight is poor, and she has spinal problems. Yet, she does not want to stop. She embarks on a three-month adventure across North America in July. She has a determination and curiosity that is absolutely contagious. The salt-and-pepper haired lady is well-loved in Mumbai and her travelling circles for her incredible courage and charm. She still maintains a rare kind of enthusiasm for life and the world around her. 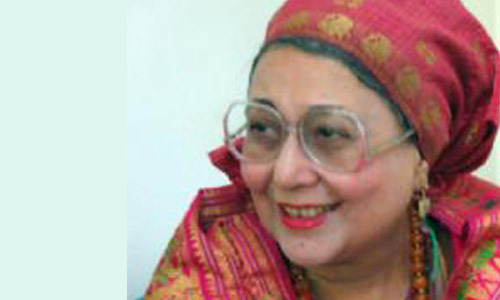 Meher is a distinguished personality in the world of travel and tourism. She shares her valuable experience and knowledge with the world by speaking regularly on All India Radio, and through press and TV interviews. 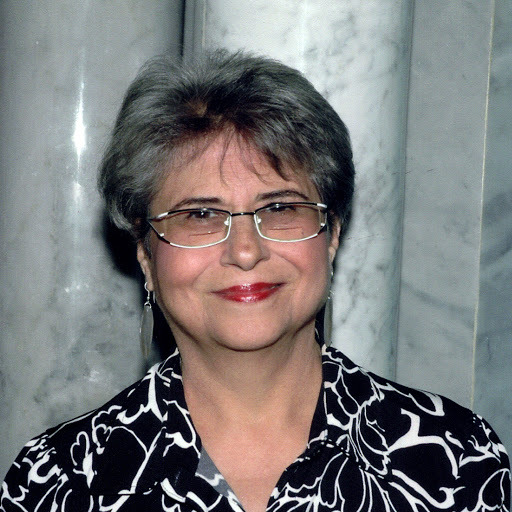 Her travelogues, published in leading journals, as well as audio-visual shows, have been her educative, and are considered significant and lasting contributions. But, her biggest contribution, perhaps, has been the encouragement she has given to the people, especially the women, to go see the world. For aspiring adventurers, Meher’s precious advice is to go out there and not be afraid. She herself has never been frightened to ask for anything, because it’s alright if they refuse. It’s important to not be arrogant, because being poor doesn’t mean people will be stupid enough to not pick on that. After all, money cannot buy happiness. What counts is how a person engages with the world and its people. Meher Moos is still driven to exchange her travels for more travel. She wants to get lost – to find herself.